In competitive environments, accurate designs that minimise change orders are key to achieving business objectives. Autodesk Building Information Modelling (BIM) for construction design and engineering helps reduce the risk of errors through integrated design, engineering and fabrication workflows. Explore BIM workflows, products, trends and project case studies in architecture. Discover how BIM for building projects helps building designers and engineers win more work, improve workflows and fast-track projects to be more competitive. Beck Group creates 100 iterations and cuts design time by 1,000 hours. RLF meets fast-track project requirements on government hospital project. Shanghai Tower project uses BIM and reduces material waste by 32%. BIM helps MaineGeneral achieve goals from construction through O&M. McCusker-Gill cuts time and materials cost with more accurate detailing. The cloud, mobile devices and big data shape BIM and how engineers work. Prefabrication and modularisation boost productivity for building projects. 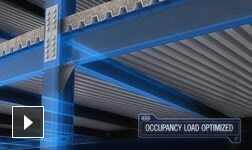 BIM helps co-ordinate complex project details to reduce energy consumption. Autodesk BIM solutions for building design and engineering help improve building performance, shorten project lifecycles and connect project stakeholders through integrated collaboration. Interoperable BIM software for building design. CAD software for detailing and fabrication of MEP systems. Cloud-based software for field management. BIM tools for architectural design, MEP and structural engineering. Cloud-based software for project coordination and collaboration. Simulation and analysis tools for structural design.